The price of wooden door engraving machine is determined according to the configuration of engraving machine. Wooden door engraving machine is not omnipotent, engraving machine is not able to do all the work. The engraving machine is divided into various specifications and models to deal with various processing tasks. For example, if you buy a mold carving machine to carve a double color board, or buy a large engraving machine to carve the seal, it will cause huge waste and will not get good results. You can also buy an AD - level engraving machine to make the mold, which may not be competent at all. Before upgrade, so you must be clear to the sales staff said you to processing, including the size of the machining, material is qualitative, the thickness of the material, weight, finally carving effect and requirements, and so on. One: the size of wooden door carving machine. Look at the size of the wooden door carving machine. Depending on the business needs and financial situation, the model and power of the wooden door engraving machine are different in terms of price and application. In general, the engraving machine has 600 mm x 600 mm and 600 mm x 900 mm, and the feed width is usually 700 mm. 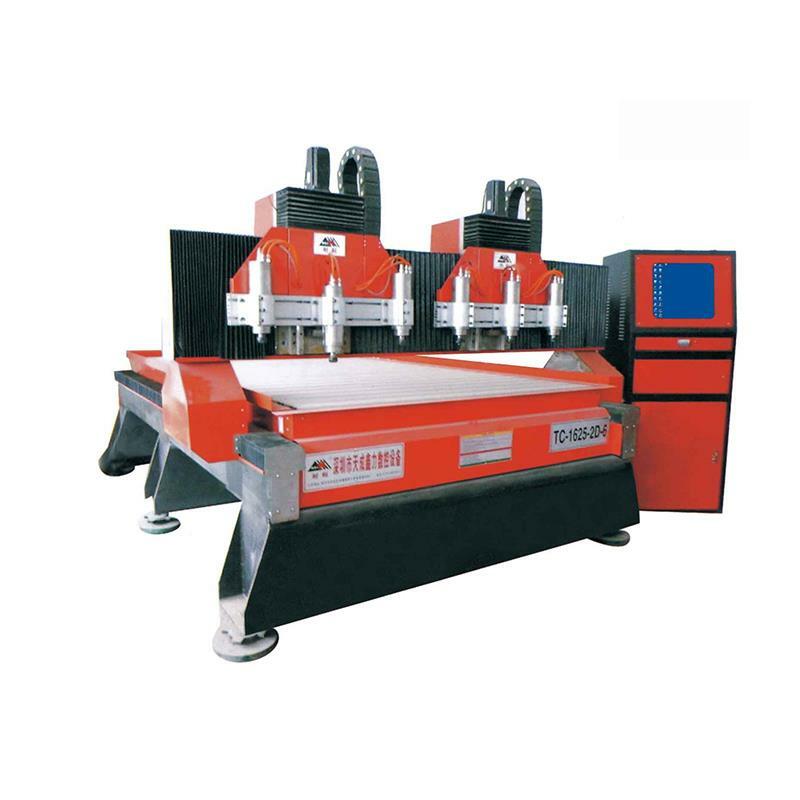 If it is necessary to carve a double color board, the small size engraving machine is the most basic application, and its acceptability is very good. If you are a little bit smaller, the engraving machine price is similar to that, but you still need to cut the board when carving the double color board, and it will cause unnecessary waste. Large-format engraving machine with 1200 mm * 1200 mm, 2000 mm * 1200 mm, 1500 mm * 2400 mm and 2400 mm * 3000 mm four, the carving machine feeding width of these models are more than 1350 mm, now on the market of organic glass and the size of the PVC board is 1300 mm * 2400 mm, so these a few model on the demand side carving machine is suitable for the customer. Two: wooden door carving machine guide. Pay attention to the guide of wooden door carving machine. The large surface engraving machine must adopt the square guide rail with wide inlet, its load capacity and precision maintaining capacity is more than 30 times that of the circular guide, ensuring the high quality and high speed of the engraving machine.